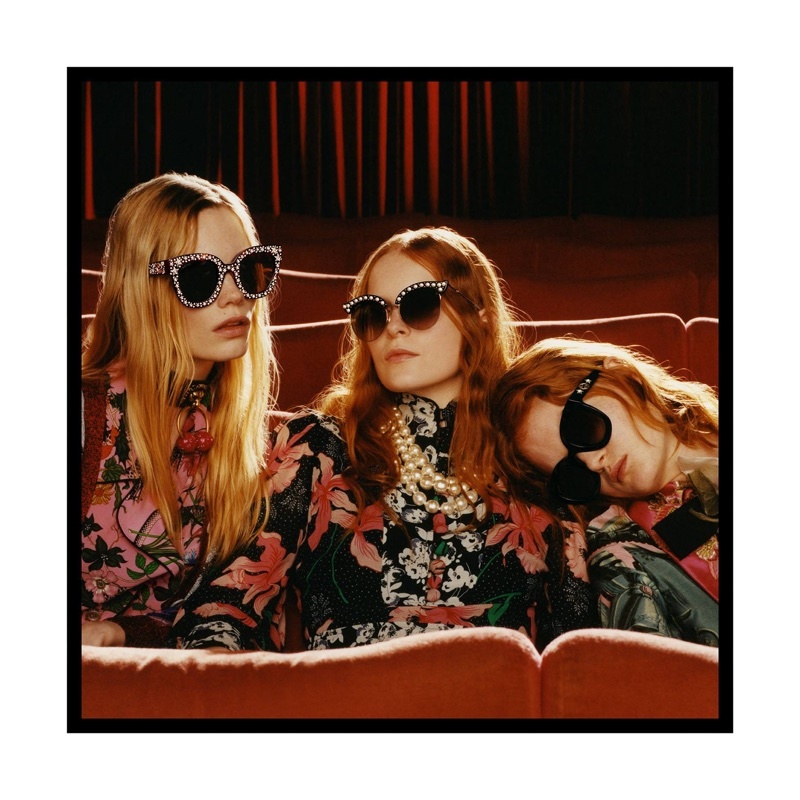 Gucci takes on a whimsical vibe and heads to the movies for the launch of its fall-winter 2017 Eyewear campaign. 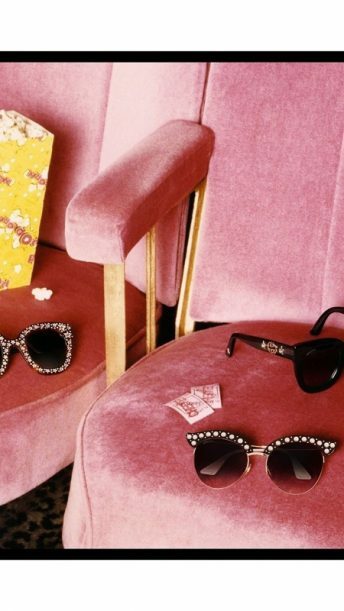 Starring models Polina Oganicheva, Victoria Schons, Zarina Green, Thomas Riguelle and Chinese actress Ni Ni. 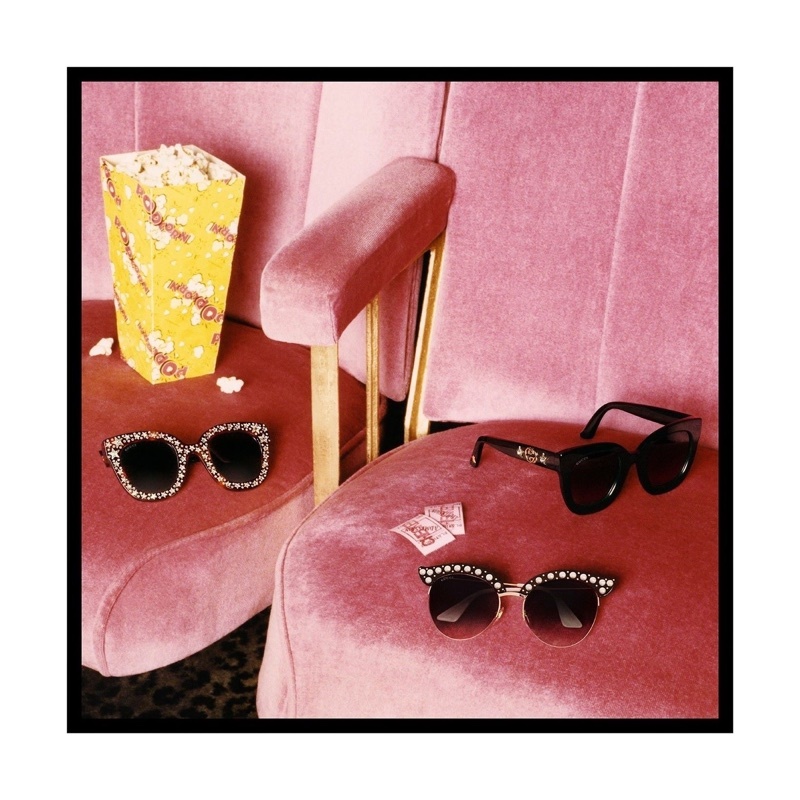 Photographed by Colin Dodgson, the new season spotlights cat-eye shapes embroidered with pearls and crystals. 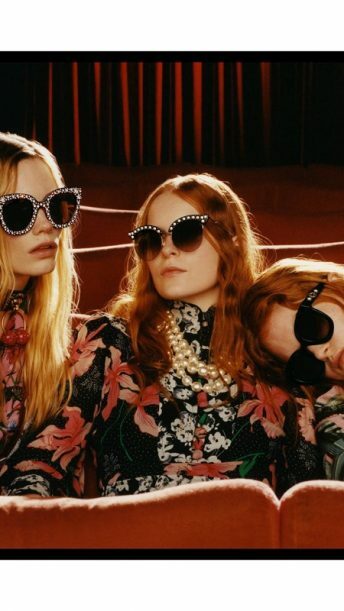 Creative director Alessandro Michele designed the frames with art direction for the shoot by Christopher Simmonds.